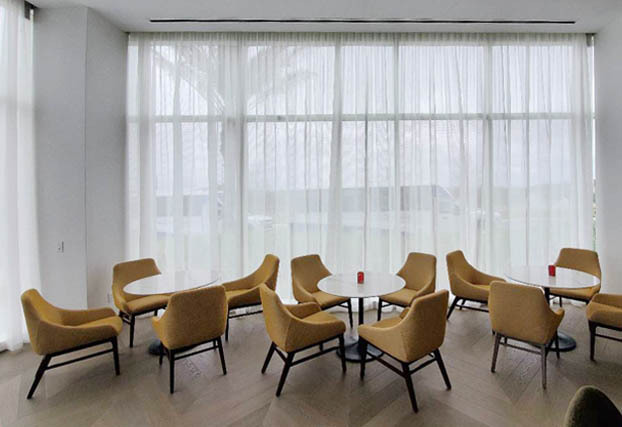 Hunter Douglas Hospitality is part of the global Hunter Douglas Group, the world’s leading manufacturer of window coverings as well as a major manufacturer of architectural products. Ever since we created the aluminum blind in 1946, Hunter Douglas has defined our industry with proprietary products that deliver revolutionary style and functionality. Our expertise in customization helps keep our customers around the world at the forefront of design. At Hunter Douglas Hospitality, we bring this expertise to the hospitality trade based in Las Vegas, NV. With worldwide distribution and product-development capabilities, we work hand-in-hand with designers on projects ranging from hotels, resorts, and casinos, to healthcare facilities, retail locations, restaurant environments, and many other commercial properties. We offer a complete line of innovative window coverings, as well as custom-fabricated drapery, and bedding. Our portfolio includes some of the world’s most extraordinary interiors. If you have questions about our products and services or need assistance with any aspect of our site, please contact us by phone, mail, or email. Roller Shades FR, Printed Roller Shades FR, Operating Innovation, ShimmerScreen®, Wood Blinds FR, Duette® FR Shades, Shutters FR, Infinity Fabrication Collection, Drapery Fabrication, Bedding Fabrication, Roman Shade Fabrication. From our recycling heritage to our innovative solar-rechargeable motors, Hunter Douglas is committed to being a responsible manufacturer, customer, employer, vendor, and neighbor. Our window treatments are inherently sustainable, consistently recognized for excellence in energy saving properties, design, and advanced lifting operation.